Ghosn has potential conflicts of interest arising from his various roles within the Renault-Nissan alliance, activist shareholders say. PARIS -- Three shareholder activist groups have asked the French market regulator to investigate Renault-Nissan CEO Carlos Ghosn's potential conflicts of interest and possible breaches of governance by the carmaking alliance. Proxinvest, which advises investors how to vote on corporate governance issues, and U.S. activist CtW, put their case for a Renault-Nissan review in a 24-page letter to the French AMF market watchdog. The Renault-Nissan move comes at a sensitive time for Ghosn, 63, whose pay package was rejected by shareholders in 2016 and faces a new vote at a June 15 annual general meeting. The letter, also signed by RAIR, an association of French pension fund trustees, details claims that Renault failed to inform shareholders adequately about a transfer of decision-making powers to its Renault-Nissan BV (RNBV) joint venture, or to respect the procedure for their renewal in 2012 for 10 years. It also points to potential conflicts of interest arising from Ghosn's various roles. He is chairman and chief executive of Renault as well as chairman of both Mitsubishi and Nissan, where he also served as CEO until earlier this year. "We believe an investigation is urgently needed to uphold the rights of Renault shareholders," CtW Investment Group Executive Director Dieter Waizenegger said. CtW, a branch of the U.S. union federation Change to Win, has been influential in pressing Tesla boss Elon Musk to add independent directors. The AMF said it had no immediate comment on the letter. A Renault spokesman could not be reached for comment. The letter said a creeping transfer of power to the Dutch-listed RNBV venture has been taking place since 2002 without "adequate governance mechanisms or protections for Renault shareholders" or any new regulatory scrutiny. 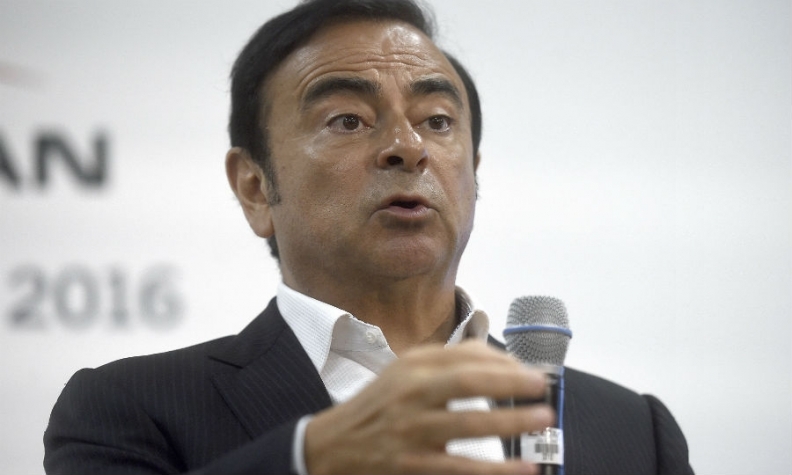 The conflict of interest allegations partly echo criticisms leveled against Ghosn by the previous French government during his 2015 power struggle with then finance minister Emmanuel Macron - who was elected French president last month. The French state, Renault's biggest shareholder with nearly 20 percent, had indicated before the elections it would probably vote against Ghosn's pay from Renault and Nissan, which came to a combined 15.6 million euros ($17.5 million) last year.